So the first picture above shows off how white Thunderbolt is. 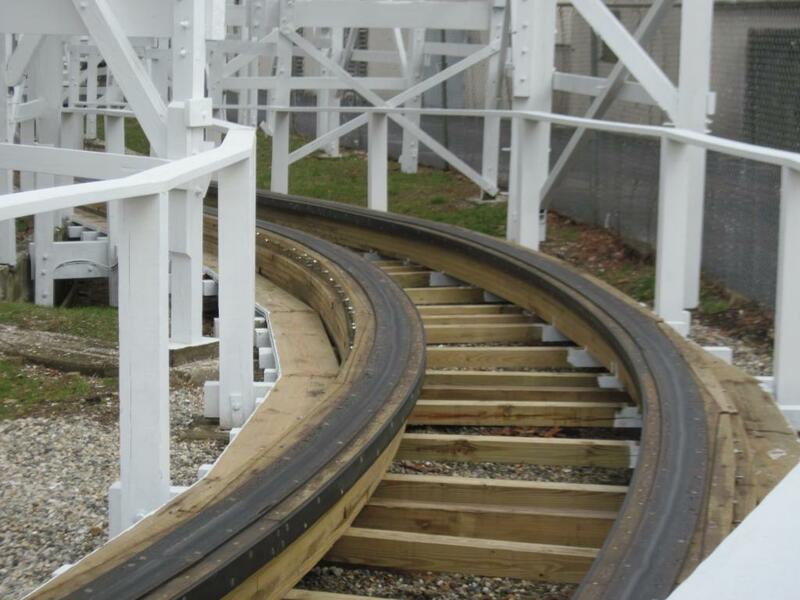 When looking at the unpainted sections (you will see pictures later in this update) it is hard to believe that the park waited so long to make it look new again. The picture below shows that Thunderbolt is indeed running. 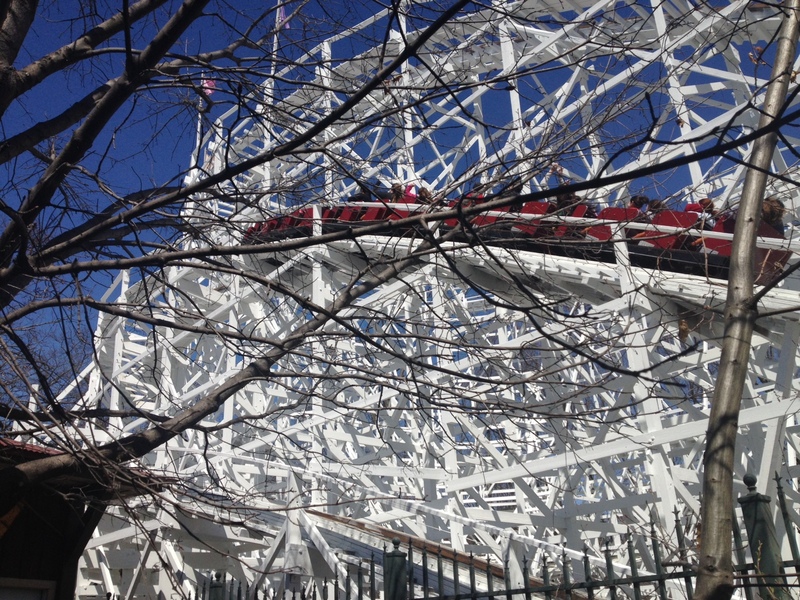 It looks like the park has opted to run the maroon train to start out the season. 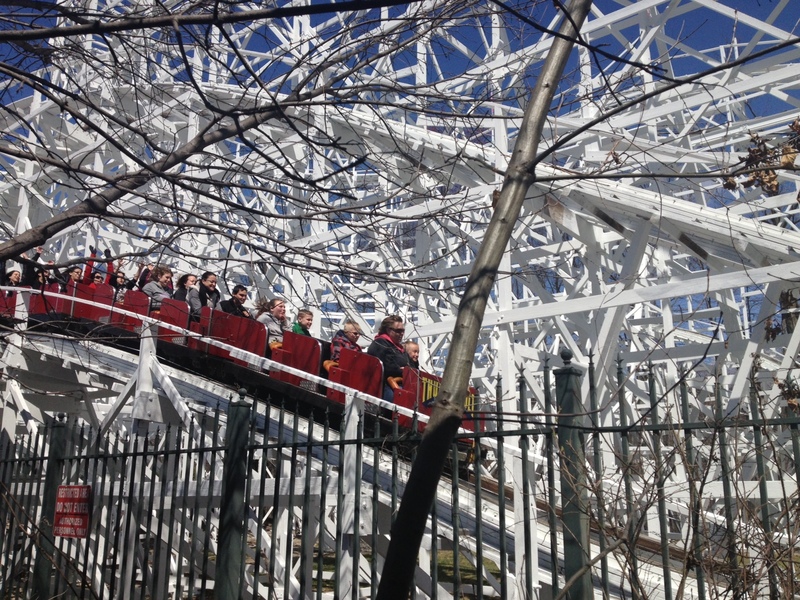 Fun fact – half way through the season SFNE usually changes trains for Thunderbolt. 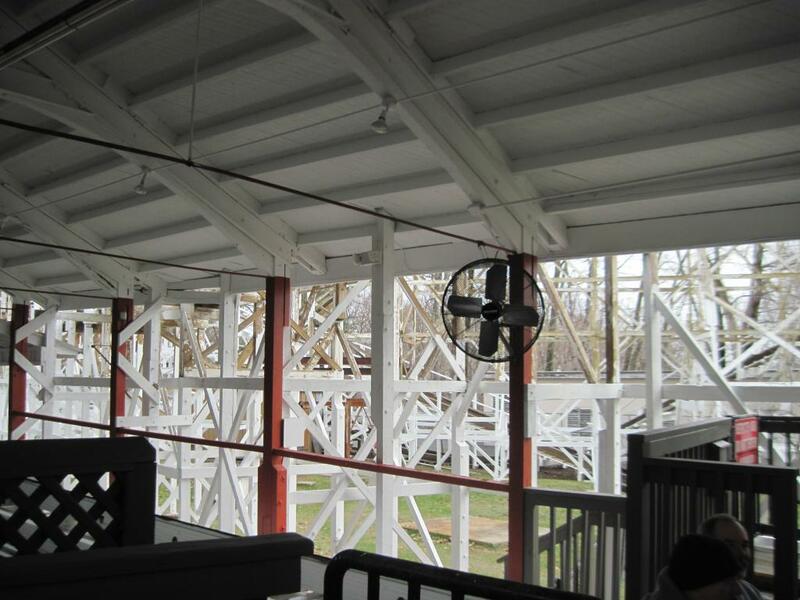 They have two trains for the coaster even though it can only run one. The second train is blue. 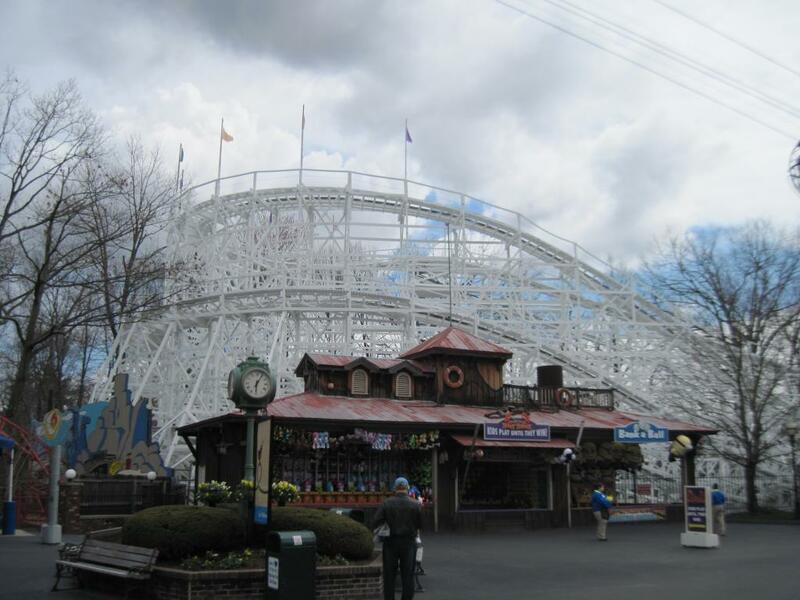 Another fun fact – Six Flags New England bought the current trains from PTC (Philadelphia Toboggan Coasters) in 2009, the same year that they purchased new trains for Superman: Ride of Steel (now known as Bizarro) from Intamin. Enough facts. More pictures. In the picture below you can see that they have already repainted the station. Even the support beams that hold up the station roof received a new coat of paint. This is another shot of the station. If you look in the background, however, you will notice the sections that haven’t been painted yet. 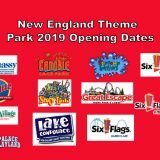 Six Flags New England has also decided to replace some track this season – a nice added bonus. 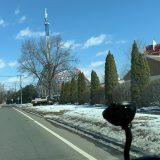 Here is an overview taken from the New England Skyway. At the very right edge of the photo you can see where the newly painted track sections end and the unpainted sections begin. 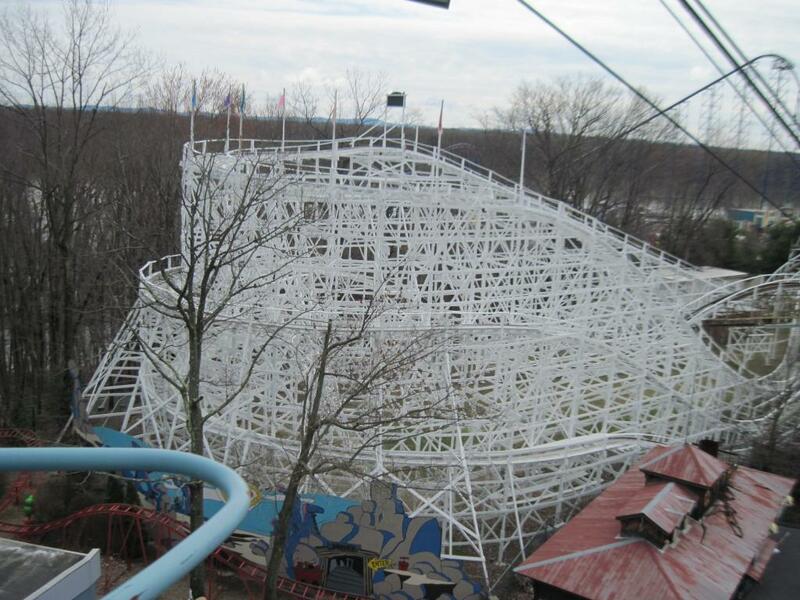 You can see that they have started to paint the rest of the coaster from the bottom up. The next two pictures give you a good look at how much is left to paint. 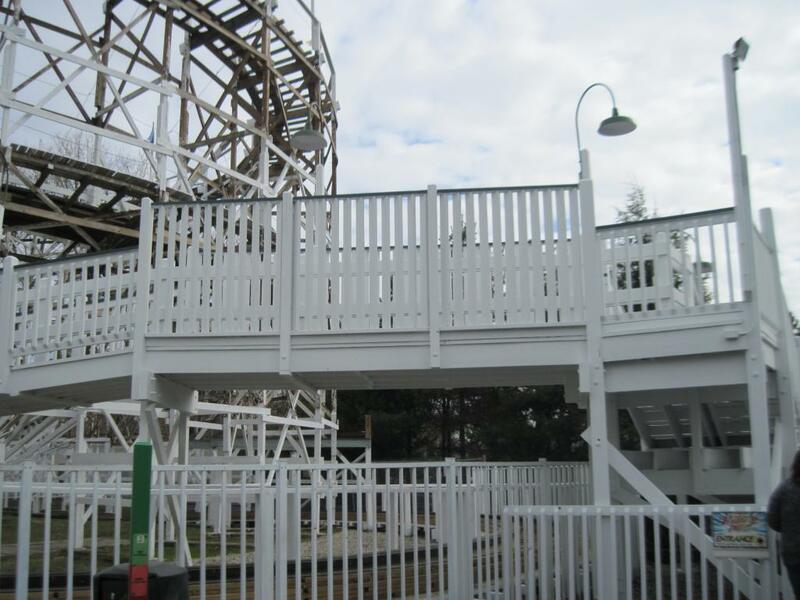 You may have noticed it in the above picture, the exit/Flash Pass staircase has been painted. 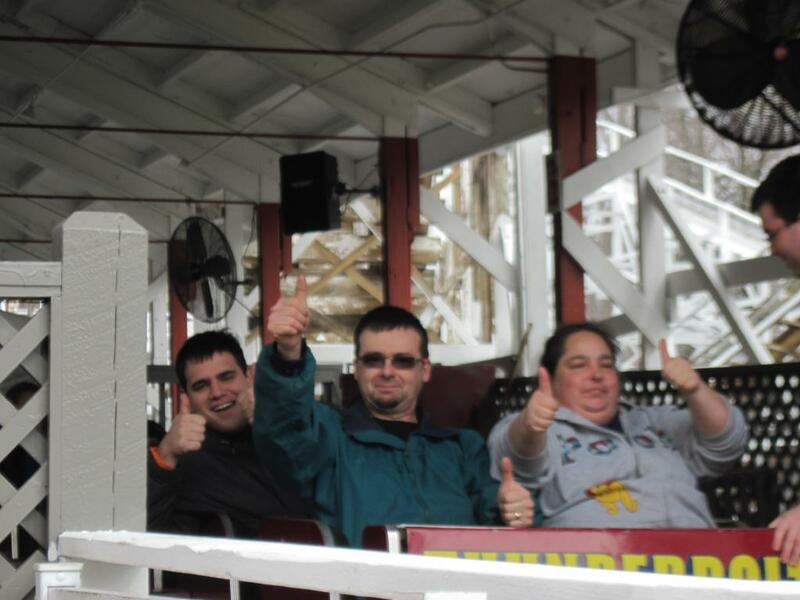 SFNE Online members giving two thumbs up for the repainting of Thunderbolt! This wraps up our first update. 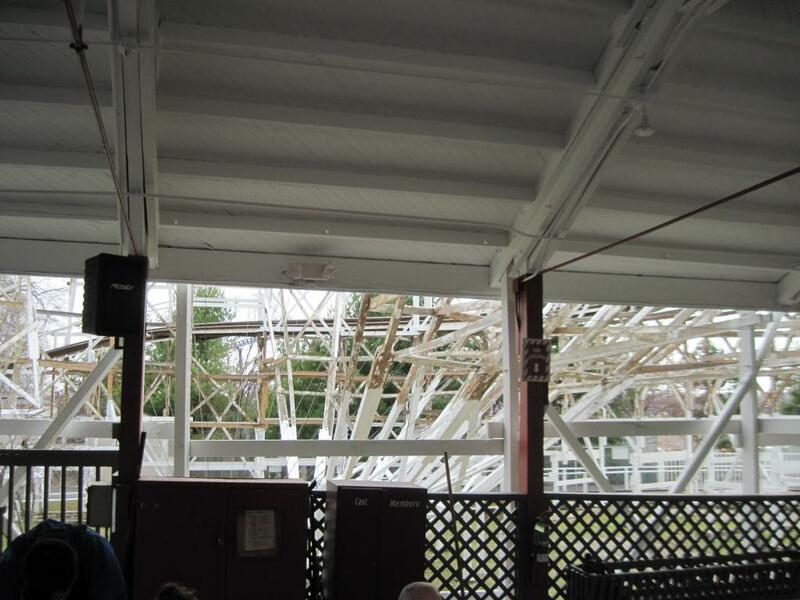 We will definitely be posting more of these as the painting progresses – so stay tuned to SFNE Online. What do you think? 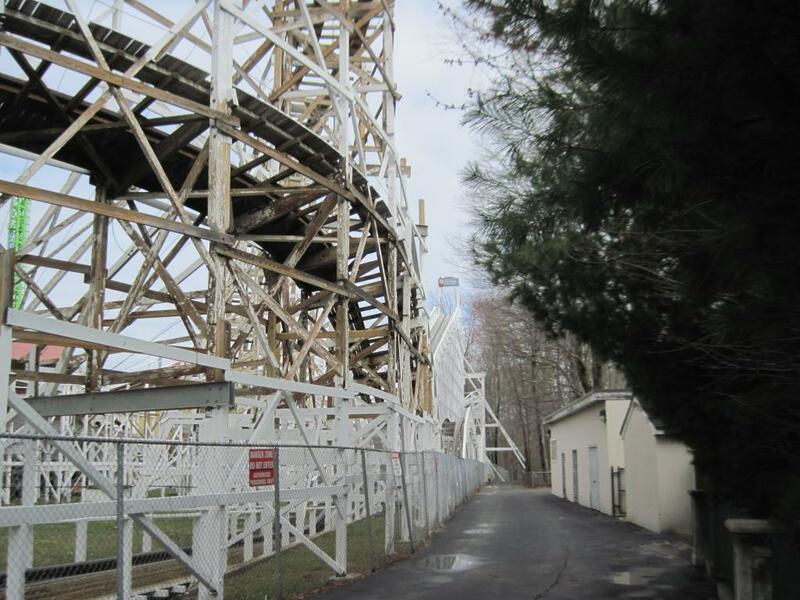 Are you as stoked as we are that Thunderbolt is finally receiving some TLC? 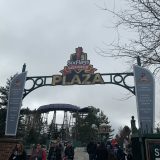 Next story Thunderbolt backwards during Fright Fest? Please respond with your opinion as it would be greatly appreciated. 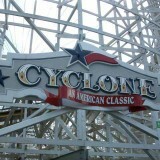 Cyclone isn’t getting it’s drop back anytime soon, probably never. 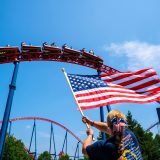 Look at Coasterforce’s comments on the Cyclone POV from 2 years ago. 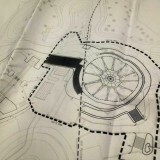 The topper track is being added there. 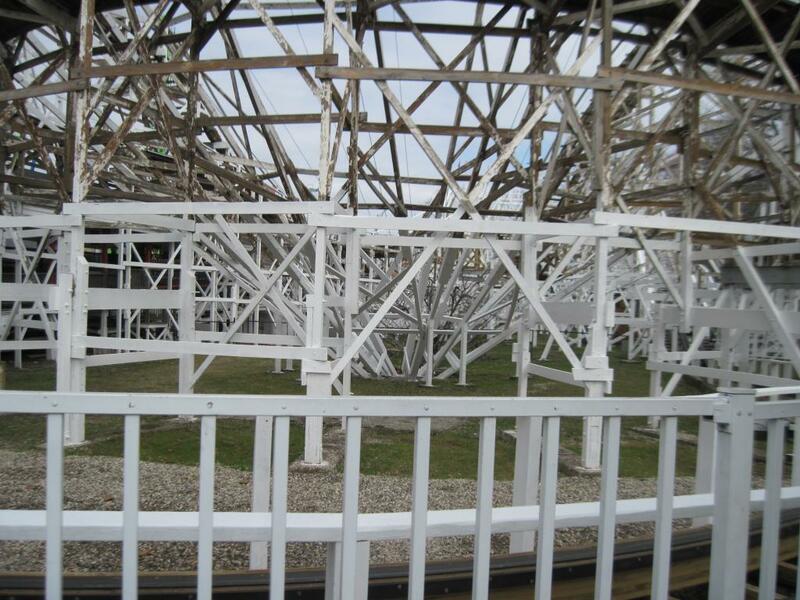 Yeah it received topper track in 2011, as did many coasters. How does that lead you to assume that the first drop is coming back? 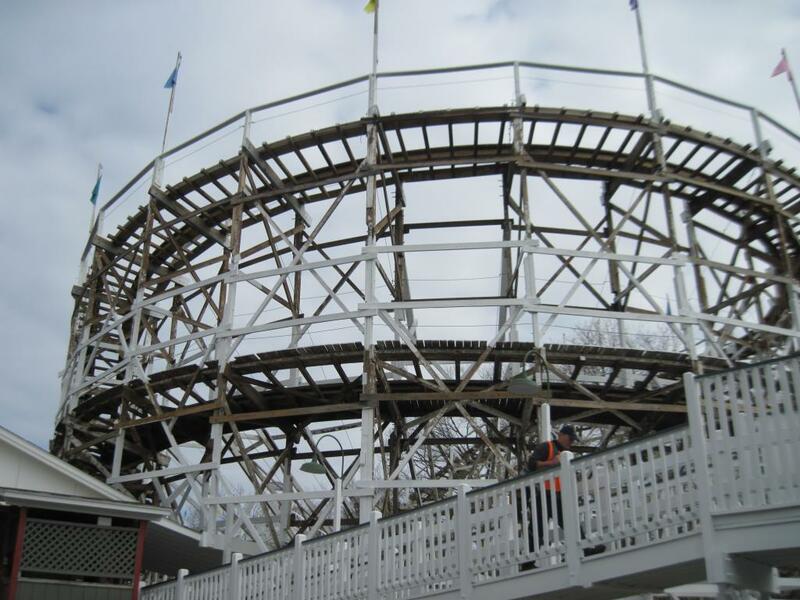 They’ve already started giving it topper track & supposedly will continue to do so – even restoring the original first drop. 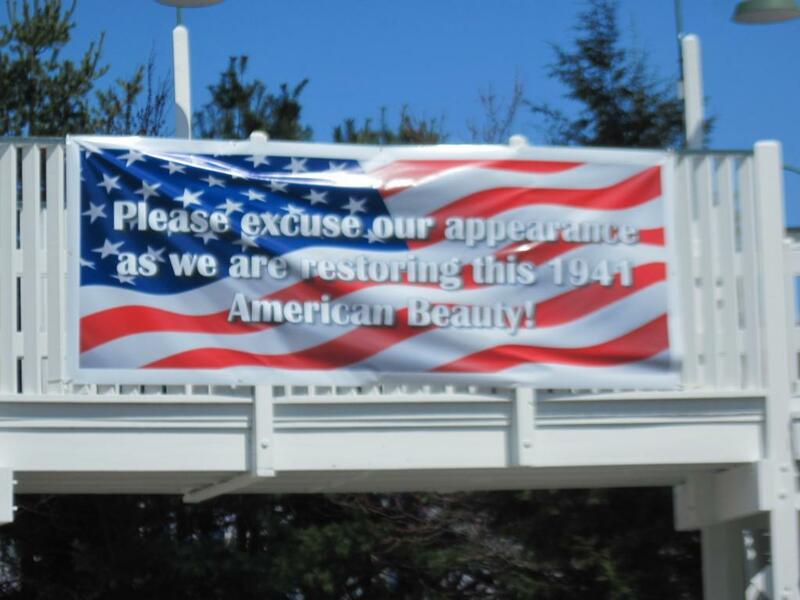 We agree with the park on this way of restoring the coaster﻿ to its former glory. 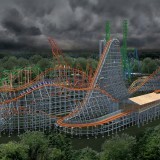 It’s semi-confirmed on Screamscape too. 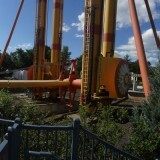 Coaster Force never gets inside scoops. They’re just great with their POVs. It’s also not on Screamscape. I’m sorry to say that the rumors you are hearing are not true.